The Bigsby vibrato unit is installed on the top of the guitar and works in conjunction with a rocker bridge. The arm of the Bigsby is spring loaded and attached to a pivoting metal bar, around which the strings of the guitar are installed. In the neutral or unused position, the pressure of the spring counterbalances the pull of the strings, resulting in constant pitch when the strings are played. 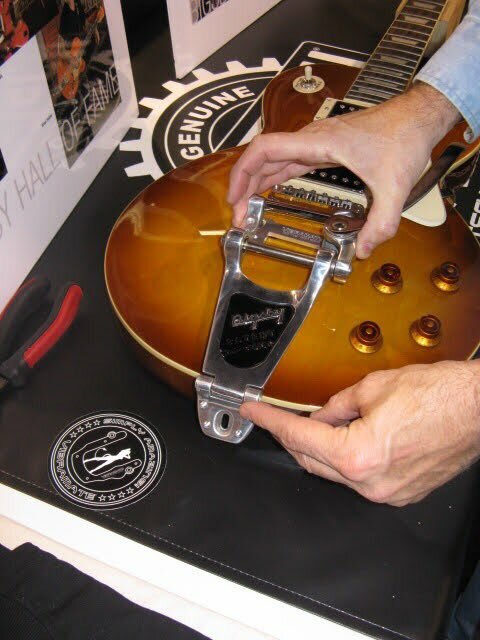 When the arm of the Bigsby is pushed down towards the top of the guitar, the bridge rocks forward causing the strings to loosen, lowering their pitch. When the arm is released, the strings return to normal pitch.  The arm may also be lifted slightly to raise the pitch of the strings. 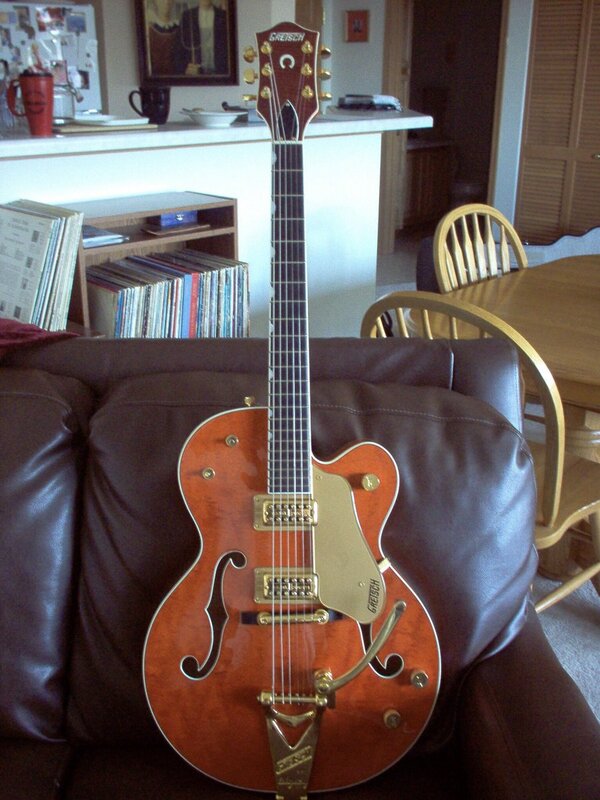 The Bigsby is highly controllable within its range of motion and usually requires little force to operate. It is ideally suited to musicians who use slow, subtle, or extended bends. It has limited range compared to tremolo units using longer springs contained internally. Competing units, like the Floyd Rose and the Fender synchronized tremolo (or strat-style) are therefore preferred by some players. 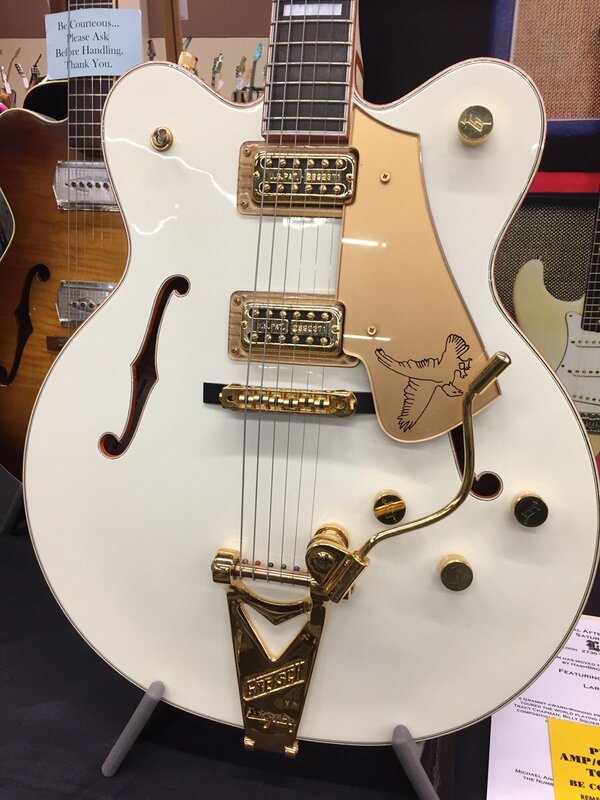 Bigsby vibratos are still factory installed on electric guitars, such as those manufactured by Epiphone, Fender, Gibson, Gretsch, Guild, Hamer as well as luthiers companies such as Motor Ave. 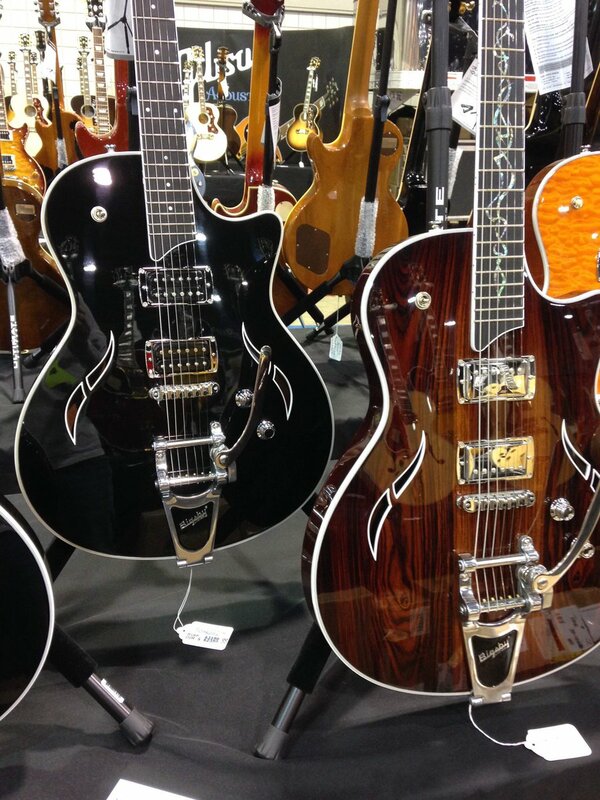 Many electric guitars can also be retrofitted with a Bigsby (requires no routing of the body), and there are different varieties of the unit designed to fit different styles of guitar, such as a hollow body or solid body guitar. Bigsby units ship with their own rocker bridges, though adjustable alternatives such as the Tune-o-matic style bridge or Jazzmaster style bridge are also available.